Prisons Audit Commission has revealed that acts of corruption have been linked to the release of some prisoners and the provision of some services in jail. 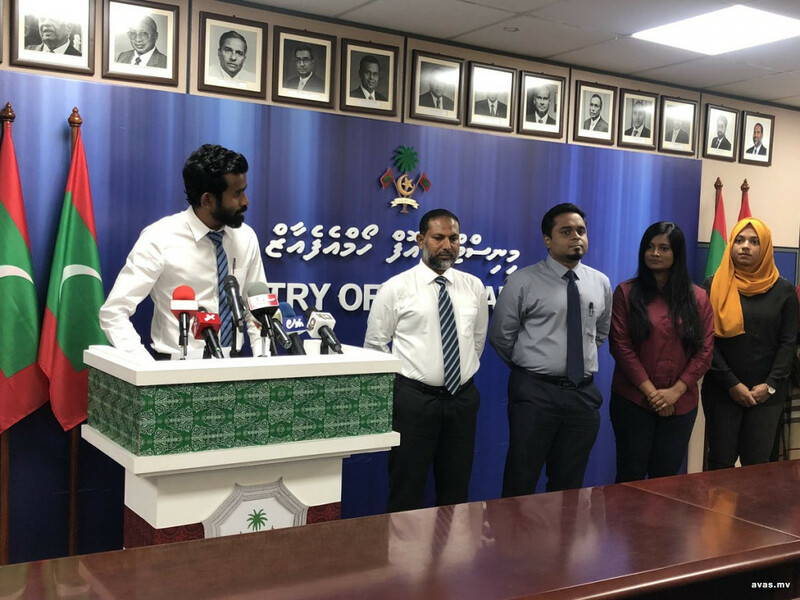 The Prisons Commission established to assess the situation of Maldivian prisons compiled a report on their findings and presented it to Home Minister Imran Abdulla on Monday. Speaking at the ceremony held today, commission member Ahmed Mohamed Fulhu said rules and regulations, and reports prepared based on some international treaties by independent entities and the government were taken into account while preparing the commission's report. The report was prepared in 75 days and the work has now been concluded, said Ahmed Mohamed Fulhu. "In this report, the commission has presented 182 proposals to reform and develop the jails based on the commission's findings", he said. Ahmed noted that most recommendations are on ways to resolve the issues pertaining to provision of medical services, and improvement of the overall general condition of prisons. "Some of the major problems identified by the commission include the release of some prisoners and provision of some services in such a way that it leads to corruption", said Ahmed Mohamed. He further said the issues of using excessive force in jails has been recorded, and have been presented to relevant authorities for further investigation. Ahmed added that there are some legal concerns on the detainment of foreigners, and amendments have been proposed which assures the prisoners their rights. The report also urged to eliminate the identified discrimination against foreign prisoners, said Ahmed.